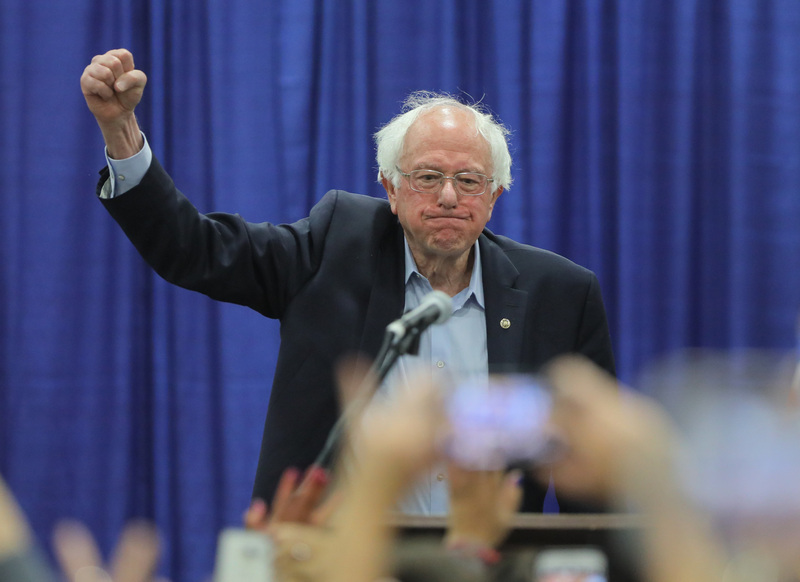 Bernie Sanders has dusted himself off and is back for round two as he announced his run for president, but things will be very different this time around. At this stage in 2015, the news that Sanders was hoping to be the next POTUS probably didn’t turn many heads. The Vermont senator was first elected to the House of Representatives in 1990, and served there until he ran for and won a seat in the Senate in 2007. Despite his years in politics, Sanders was something of an underdog when he decided to join the 2016 presidential election running, especially when pitched against candidates like former First Lady Hillary Clinton and The Apprentice’s Donald Trump. Although he was considered a long-shot candidate, Sanders’ campaign gained backing and for many he was the ideal future president. He labelled himself a ‘Democratic socialist’, which he has defined as someone who seeks to ‘create an economy that works for all, not just the very wealthy’. Sanders divided the Democratic Party, but 2016 saw Clinton win the primary vote and become the leader of the party, running against Trump for the White House. I don’t think I need to go into detail about the disastrous events that have taken place since then. But amid the scandals, walls and withholding of government pay, Sanders is back to offer a shining beacon of hope, and this time he’s not an underdog. His previous attempt to become president means people already know who the 77-year-old is and what he stands for, and his formerly ‘radical’ ideas about healthcare, $15 minimum wage and tuition-free public colleges now seem like more manageable feats with noticeable backing. Three years ago, during our 2016 campaign, when we brought forth our progressive agenda we were told that our ideas were ‘radical’ and ‘extreme’. Sanders is entering the race with a massive lead among low-dollar donors. His campaign reportedly raised $1 million (£777,000) within three and half hours of launching. 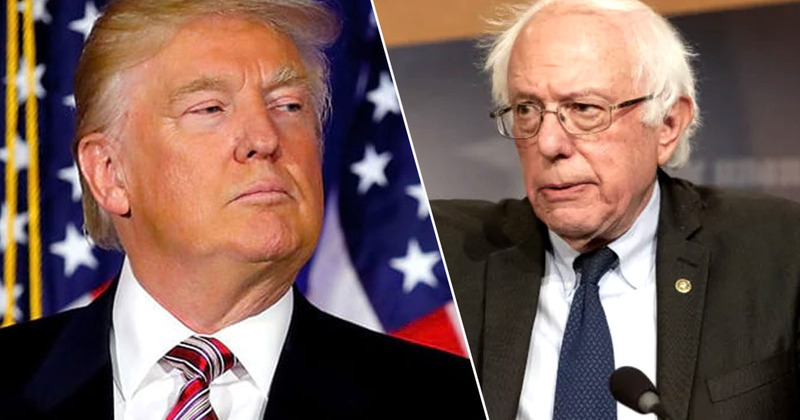 Having learned from his previous campaign and after spending three years watching the way Trump dealt with being the most powerful person in the world, Sanders presented himself almost as an anti-Trump in his announcement, as he blasted the current POTUS in an attempt to secure supporters. Our campaign is about taking on the powerful special interests that dominate our economic and political life. You know as well as I do that we are living in a pivotal and dangerous moment in American history. We are running against a president who is a pathological liar, a fraud, a racist, a sexist, a xenophobe and someone who is undermining American democracy as he leads us in an authoritarian direction. While some other candidates have shied away from commenting on Trump, Sanders spoke up and offered what the current president so rarely does; a straight-forward, honest statement. Showcasing the clear issues with Trump reminds voters that it’s time for change, and his left-wing ideas offer exactly that. The candidate has worked in remedying the downfalls of his 2016 campaign, one of which was his lack of support from African American voters. He has recently made a series of visits to the south, where in 2016 he drew less than 20 per cent of the vote from African Americans. Sanders’ comeback stands him in good stead against first-time candidates, as he already knows which parts of his campaign worked and which didn’t, allowing him to alter his campaign accordingly. The 77-year-old’s age might be a worry for some, but despite being surrounded by politics for many years, and being in a position of power, Sanders is still be pushing for the best interests of young people and a fairer economic landscape across the board in his attempt to ‘complete the political revolution’. Sanders offers a pure yet established option for President of the United States, and his unwavering determination shows he’s going to give his campaign everything he’s got. Let’s hope it works out for him this time.